It’s almost time to play with super power, again. The Super Nintendo Entertainment System Classic Edition, or the SNES Classic for short, is officially coming this fall. The SNES Classic comes a year after the original NES Classic took over the holiday sales market and you were either incredibly lucky or you camped out in front of a store for hours to find one. The SNES Classic will release packed with 21 Super Nintendo games from the early 90’s including Super Mario World, Donkey Kong Country, and The Legend of Zelda: A Link to the Past. This is less than the NES Classic’s 30 games, but all games included are classics from different genres so everyone can find something to enjoy. Also included is the first ever official release of Star Fox 2 which was cancelled after being about 95% complete back in the day. If you would like to know more about the background of Star Fox 2 and its development I would recommend checking out Nintendolife’s article here. 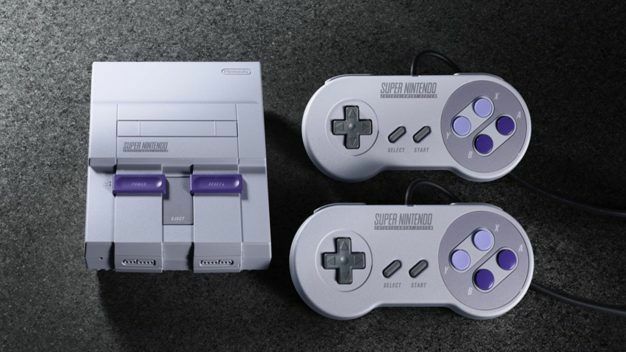 The console is a miniature version of the original Super Nintendo and comes with 2 wired SNES retro controllers. There is no indication on the Nintendo website yet if the cords will at least be longer than the NES Classic’s which were only about 3 feet long. The Classic Controller and Classic Controller Pro accessories will be compatible with the SNES Classic. The SNES Classic will release September 29th of this year for $79.99. Hopefully Nintendo will provide much more stock than they did a year ago. If you would like to see the full list of games, check out Nintendo’s website here.